Follett provides you access to products and services from their huge network of bookstores and carefully-selected vendor partners across the country, and from their state-of-the-art distribution center. 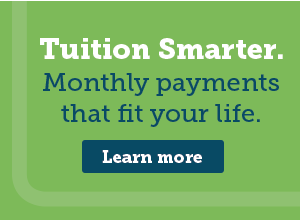 When you shop via efollett, you are virtually shopping at the Glen Oaks campus bookstore. Therefore, when you place an order for textbooks, clothing, gifts or supplies, those items are taken right off the bookstore’s shelf for you. If the items you ordered are not on our shelves, we check our distribution center and reach out to our network of bookstores and vendor partners to get you the items you ordered. You can choose to have items shipped to The Oaks Store for pick-up or sent to an address of your choosing. 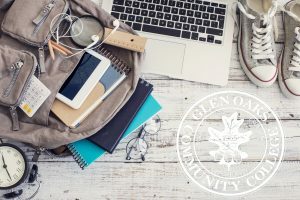 Show your Glen Oaks Community College pride all year long with our authentic assortment of Glen Oaks Community College collegiate apparel – including Glen Oaks Community College t-shirts, sweatshirts, hats and more. Join the ranks of your fellow Glen Oaks Community College students, alumni and team fanatics by sporting the ultimate Glen Oaks Community College game day gear. With sizes available for men and women, the whole family can cheer on Glen Oaks Community College in style, every season. Looking for more than Glen Oaks Community College apparel? We’ve got Glen Oaks Community College gift ideas covered, with options ranging from drinkware to Glen Oaks Community College gift cards. Plus, our selection of textbooks, computers, and supplies will ensure every Glen Oaks Community College student is prepared for success.